Installed Dimensions: H: 77″ W: 49″ D: 32″ Weight: 600lbs. 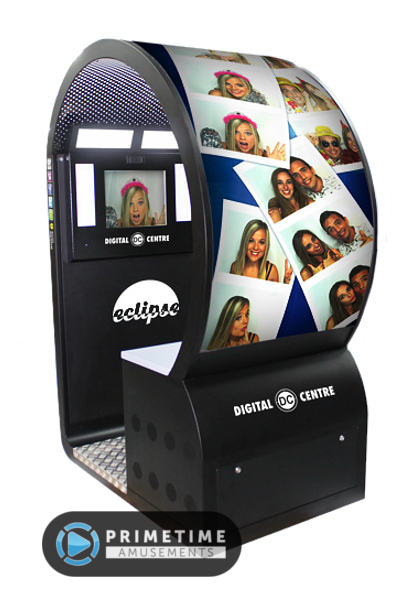 The Eclipse photo booth by Digital Centre provides the features you expect from a commercial photobooth with some added innovation to drive sales! The first part of the attraction is the 12′ curved LED screen that wraps around the outside of the machine. 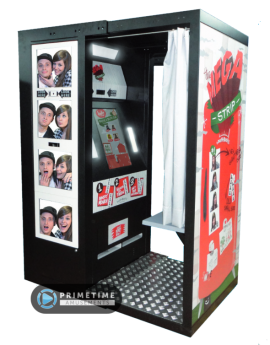 This interactive display allows you to showcase pictures or videos, which you can use to further promote your brand, a special event or a guest! Combined with Digital Centre’s specialized ad platform, you can generate revenue without even printing a photo! Check out the Eclipse from IAAPA 2017. Video available in 4K UHD. 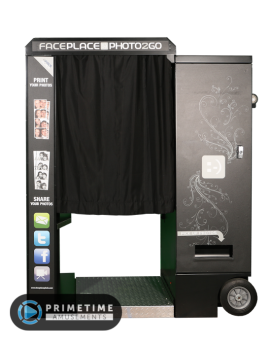 Digital Centre machines also offer a smartphone app for both customers and operators called MyPhotoApp which allows clients to share their pictures digitally with ease. 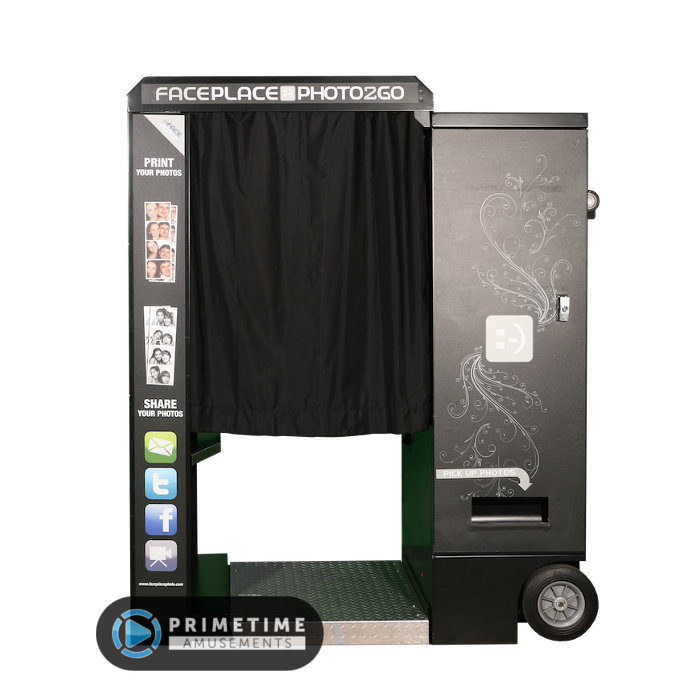 Use the QR-ID to securely track your pictures and photos are printed with a QR code that clients can use to share their pictures as well. Operators can use it to make booth adjustments and audits remotely. 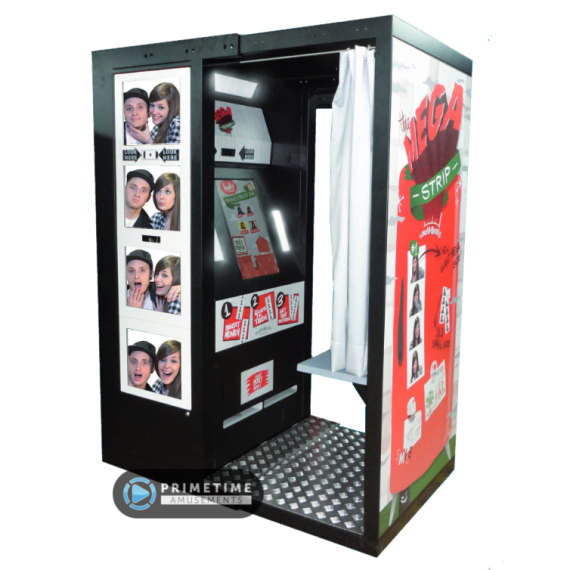 Digital Centre has also developed a secure transmission method to protect photos on the machine and in the Cloud so that users can share without worry. – Video capture feature (operator option). 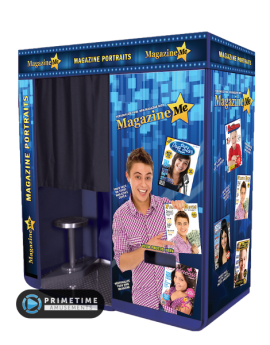 If active, clients can share a video message via e-mail, Facebook or Twitter. – Multiple payment options: cash, tokens, credit/debit card reader and smartphone payment option. Open: H: 74″ W: 30.5″, L: 63″ Weight: 400 lbs. Installed Dimensions: Height: 83″, Width: 36″, D: 70″ Weight: 809 lbs.